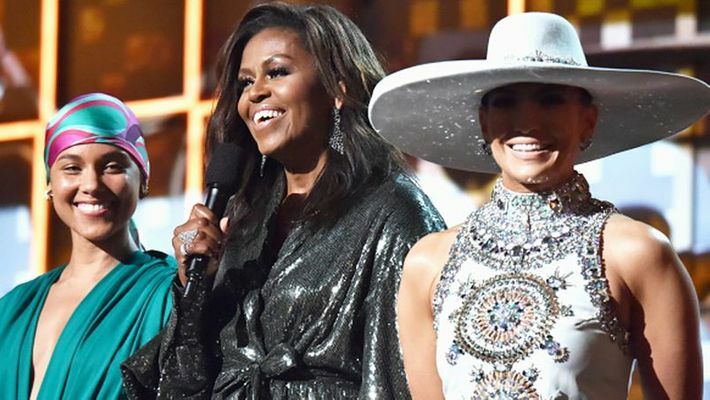 Michelle Obama, 55, appeared onstage alongside Keys, Lady Gaga, Jada Pinkett Smith and Jennifer Lopez. "For me, a big part of friendship is showing up for your girlswhether that's for a birthday, a quick catch-up after work, or a major milestone. "So I was thrilled to be there for the one and only @aliciakeys at the #GRAMMYs. She is one of the most genuine, caring, and thoughtful people I knowthere's no one better to help us all celebrate the unifying power of music," Obama captioned the photo.